The Supreme Court will start hearing petitions challenging the constitutional validity of the contentious Article 35A from 26-28 February. 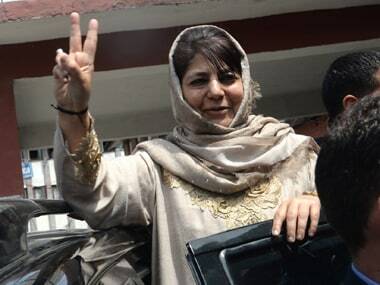 Former chief ministers Mehbooba Mufti and Omar Abdullah warned Centre that any tinkering of the Article 35A will trigger political upheaval. Addressing a press conference in Srinagar, Mufti said, "If anything like that happens (tinkering with Article 35A), its consequences would be — I have said it earlier and my words were not taken well — that it would be difficult for those who raise the flag of this country to even shoulder it. If it (Article 35A) is attacked, I don’t know that which flag the people of Jammu and Kashmir would raise after dropping the Tricolour," The Indian Express reported. According to reports, the mood in Kashmir Valley was one of dread ahead of the Supreme Court's hearing. Article 35A of the Constitution grants "special status" to the residents of Jammu and Kashmir and defines the "permanent residents" of the state. It also bars people from outside Jammu and Kashmir from acquiring any immovable property or jobs in the state. The Supreme Court has agreed to hear a number of petitions challenging this constitutional provision. 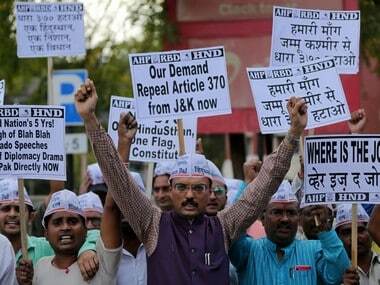 The demand to abrogate Article 35A has gained more fervour since the attack on a CRPF convoy on 14 February, in which 42 jawans died. In the aftermath of the attack carried out by the Jaish-e-Mohammad, Kashmiris across the country have been facing violence and hate, and the Centre has initiated a crackdown on separatist leaders in the state. Violence erupted in Jammu and Kashmir on Saturday as rumours began to circulate on social media that the Supreme Court was going to strike Article 35A down. 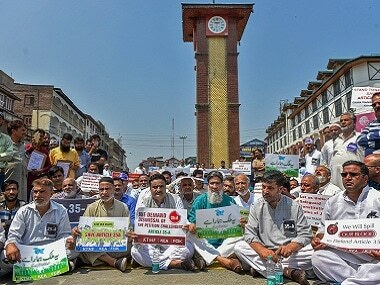 Dozens of protests and incidents of stone pelting were reported from districts in the Valley, with people thronging markets to stock up on essentials in the fear that there could be a long shutdown and curfew in the state. 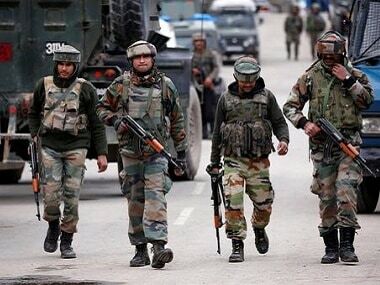 On Friday, the Home Ministry had issued a notification to "urgently" deploy 100 additional companies of Central Armed Police Forces (CAPF) in the Valley. The Supreme Court, on 19 February, had agreed to look into a public interest litigation (PIL) challenging the article. The PIL, filed by BJP leader Ashwini Upadhyay, also said the court must decide on the President of India's jurisdiction and thereby delineate who exactly can rule over Jammu and Kashmir.